Inflammation wears two faces. It plays an important role in the immune system’s effort to protect the body from injury and infection, but it can also go rogue, triggering a cascade of reactions that cause illness or death. 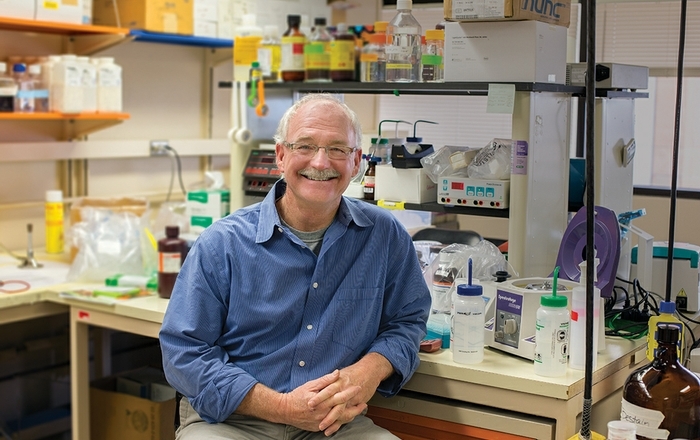 Robert Orlando, PhD, an associate professor in the University of New Mexico Department of Biochemistry and Molecular Biology, has been investigating the role of chronic inflammation in the epidemic of serious metabolic illness afflicting developed nations. For the past 15 years he has focused on obesity-related diseases such as Type 2 diabetes, targeting imbalances in the way the body handles lipids. “You see a close correlation between obesity and the onset of diabetes and cardiovascular disease,” he says. Orlando studies natural substances that have potent anti-inflammatory effects. One is the bay leaf (Laurus nobilis), commonly used as a spice in the kitchen. “It has enormously powerful anti-inflammatory function,” Orlando says. It even outperforms better-known anti-inflammatory foods, such as resveratrol, a component of red wine, and curcumin, a spice used in Indian curries. He holds a patent on using curcumin derivatives to treat obesity-dependent inflammation. Orlando’s research is in the early stages, but the use of natural products seems effective, and there are few harmful side effects. 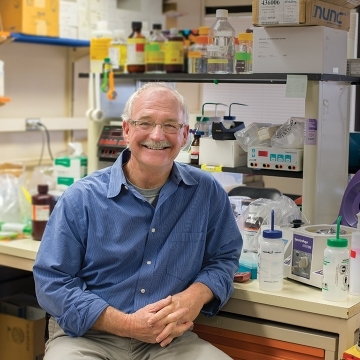 The research could one day identify new molecular targets for regulating inflammation, he adds. Orlando grew up in upstate New York, earned his PhD in biochemistry at the University of California, Irvine, and did postdoctoral work at The Scripps Research Institute and University of California, San Diego. He held a faculty position at UC San Diego before coming to UNM in 2000. While Orlando loves research, he’s gaining increasing satisfaction from time spent in the classroom teaching biochemistry to medical students and undergraduate students in the Biochemistry program. In 2014 and 2015 Orlando received the School of Medicine’s Erwin W. Lewis, MD, award, which recognizes excellence in teaching.